LAN was recently recognized by NJBIZ as one of New Jersey’s Top Engineering Firms in their October issue. The NJBIZ “top lists” monthly feature has become a barometer for successful businesses in New Jersey. The list is ranked by the number of licensed engineers within the firm. 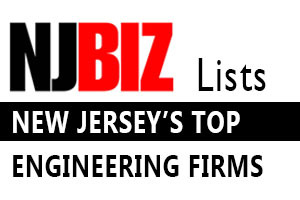 LAN ranked 24th as a top engineering Firm in New Jersey. LAN offers our congratulations to all firms that were recognized and thanks NJBIZ for the acknowledgement of the Top Engineering Firms in New Jersey. LAN Associates is thankful to its staff and clients for all of their hard work and commitment that has made it possible to be honored as one of the top Engineering firms in New Jersey.